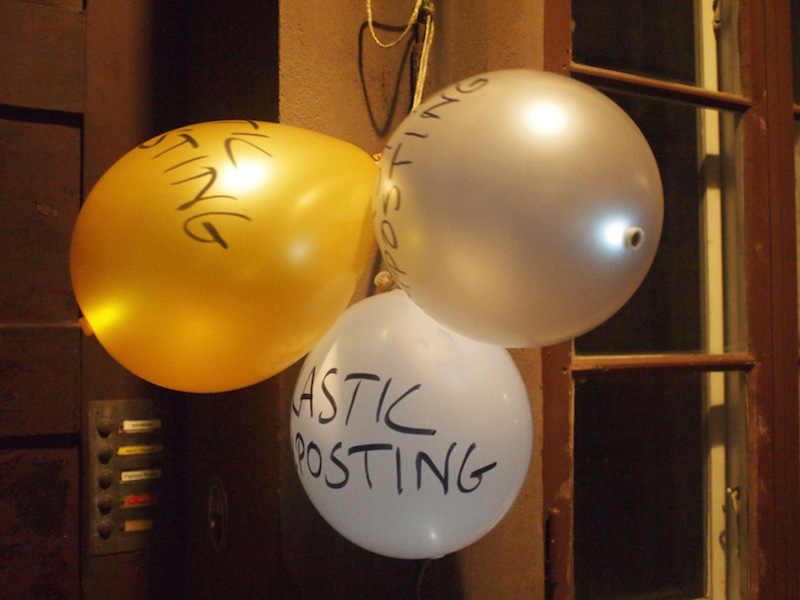 How do you want to live with plastics? New research have shown that styrofoam can be biodegraded. How will this influence our everyday use of plastics? Would you be interested in composting plastics at home? We welcome you to meet up in Copenhagen on Wednesday November 4th to talk about these issues over some snacks. We will hand out composting kits that you can bring with you to try out plastic composting at home. We will be there between 6 and 8 pm, and you can drop by when it fits you. Two weeks later, Wednesday November 18th between 6 and 8 pm, we will meet again to discuss your experiences of composting plastics. We will also discuss and speculate on what it would mean if this way of composting plastics started to become more widespread. 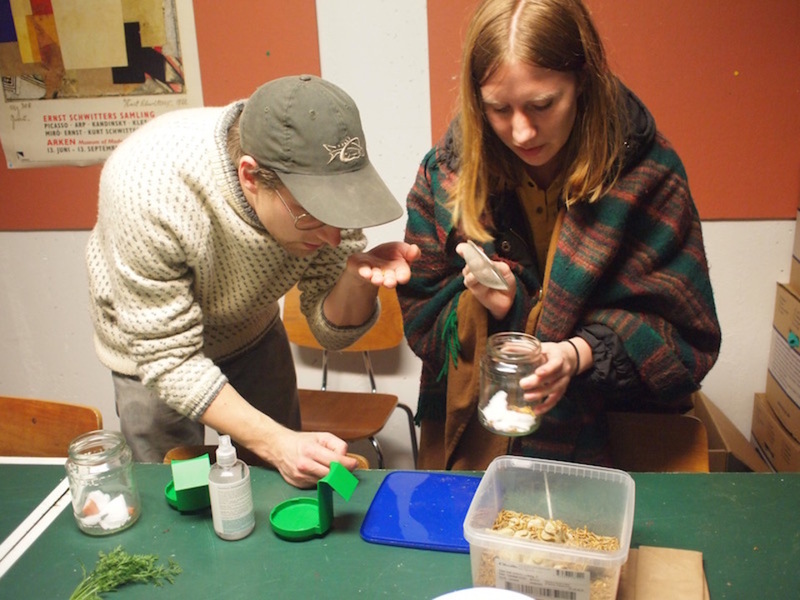 A dark evening in November 2015 we gathered in a basement in a housing cooperative in Copenhagen to hand out a kit for composting styrofoam. 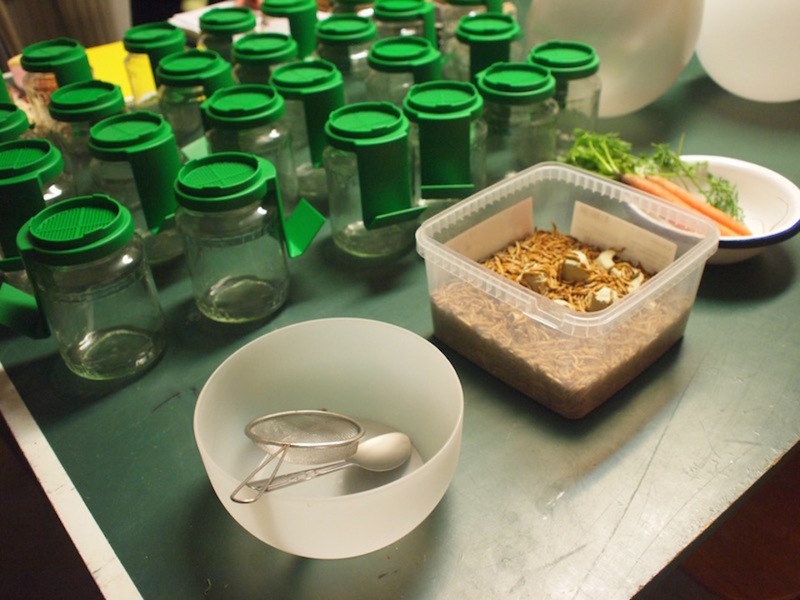 The kit included a jar commonly used for sprouting, a diary used for documentation, suggestions of how to take care of the compost, a couple of articles related to the topic, a funnel, and a plastic bag to collect the biodegraded plastic in. 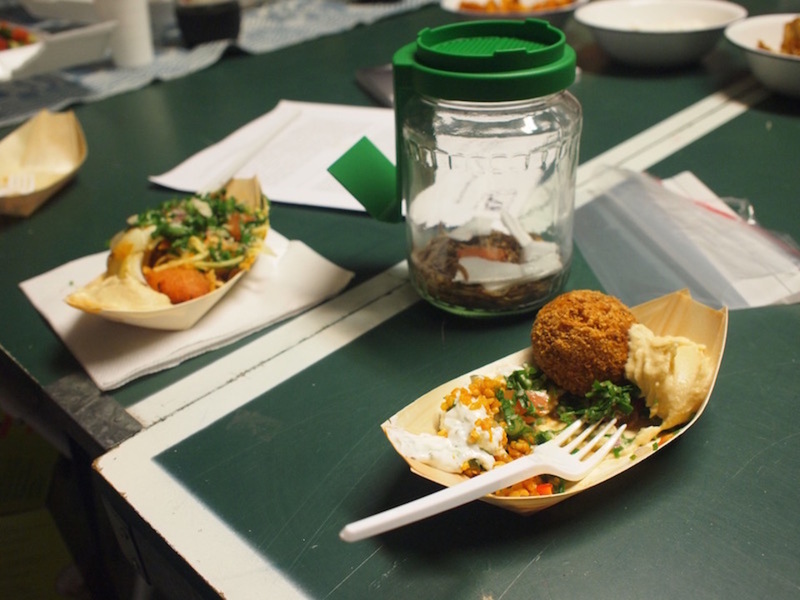 The table was also set with take away food served in styrofoam containers. The styrofoam was later used to feed the worms. To provide the worms with some liquid we also offered some carrots to mix the styrofoam with. During the evening about twenty participants showed up to have some snacks and get a compositing kit. 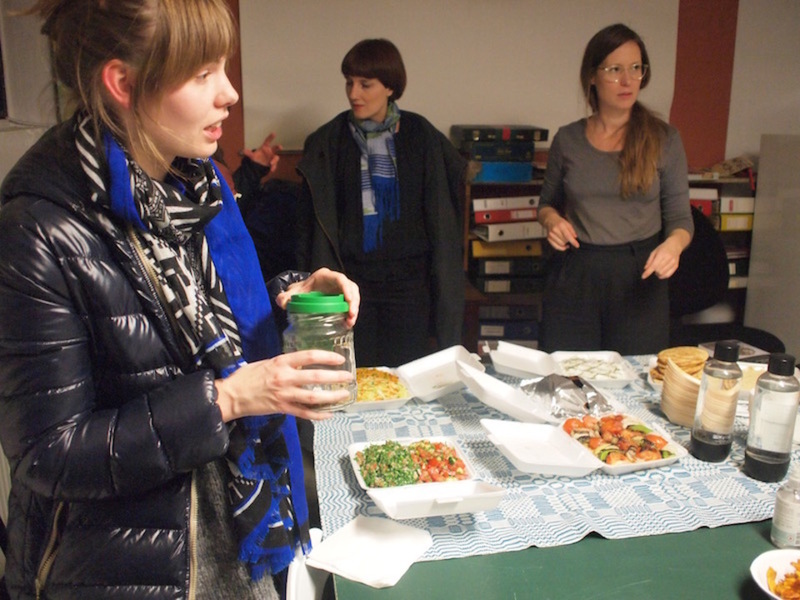 The participants were a teacher, a couple of design students, artists, designers, researchers, and more. 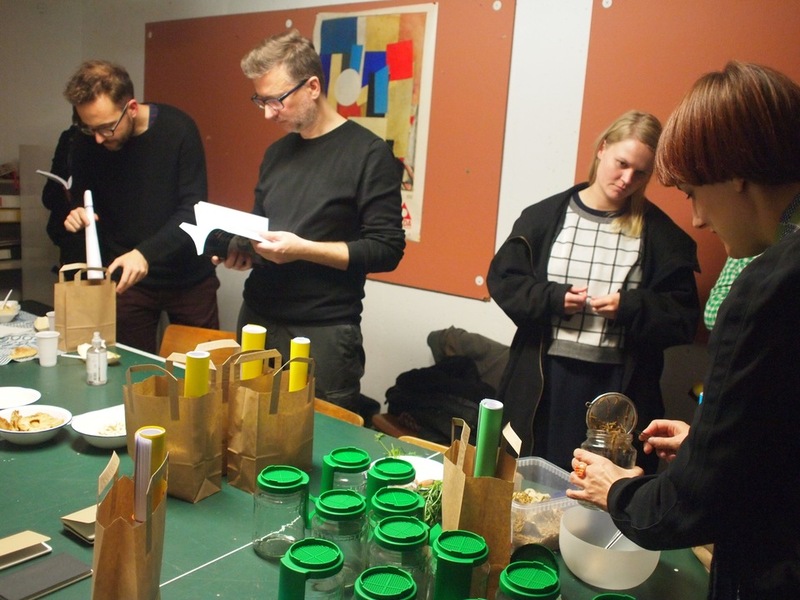 While none of the participants had any experience of composting plastics, they all had some kind of interest in the issue. Two weeks later we met up again to share our experiences. Again, in total we were about twenty people who gathered, but not quite the same as the first time. Some were not able to make it, but had shared their experiences via email and we had printed, for example, the images. Others said they wanted to meet us later when it fitted their schedules. There were also some who had not had the opportunity to come on the first occasion, and did thereby not have any first hand experiences of composting plastics. In this account we will include materials and stories shared with us on the first and second occasion, as well as on the facebook event-page and in all kinds of digital and other forms of encounters. Throughout this experiment it has become obvious that the co-living that we had suggested through handing out composting kits was far from smooth, but rather messy. 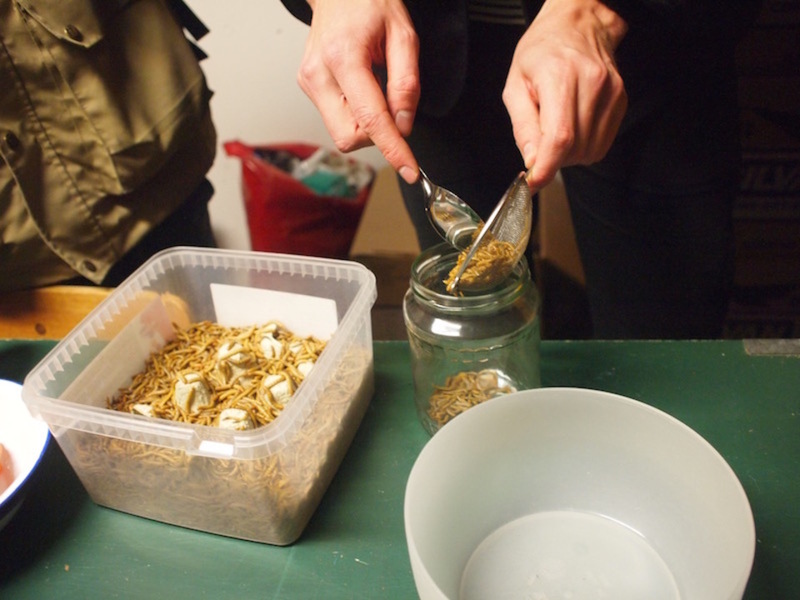 Several participants expressed that they had felt uncomfortable already when transporting the worms from our first meeting - for example because they were smelly in a restaurant. Others expressed unease in how their living partners would feel about it. 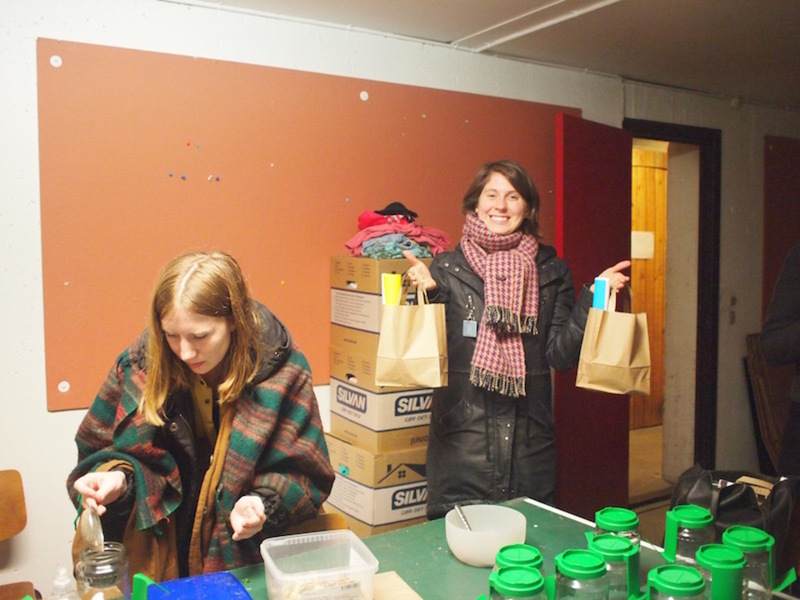 One participants explained that she did not take the worms out of their bag for the first couple of days since she did not want to look at them, and since she was not sure what her flat mate would say. Another participant explained how he had to put them outside, since his partner was disgusted or even scared of the worms. 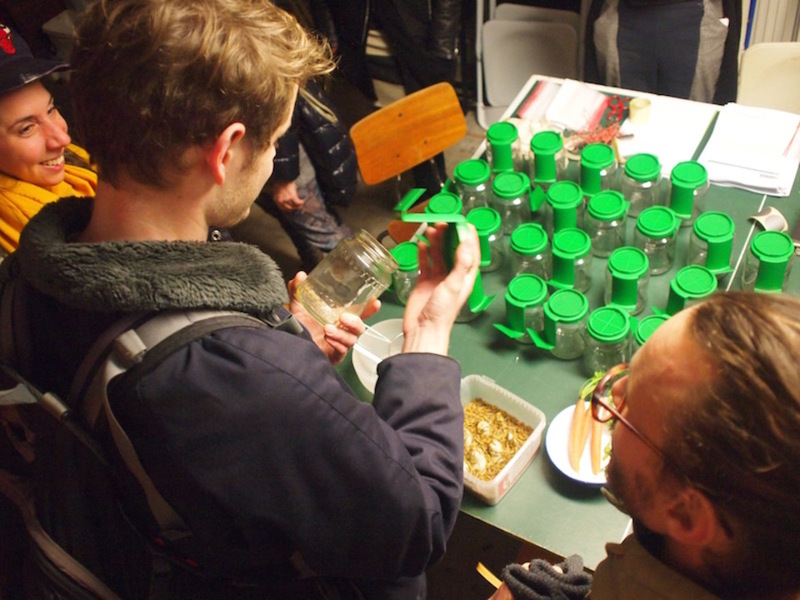 One participant explained how he had to terminate the experiment, since he was afraid that the worms would spread in his apartment that he was just about to sell. 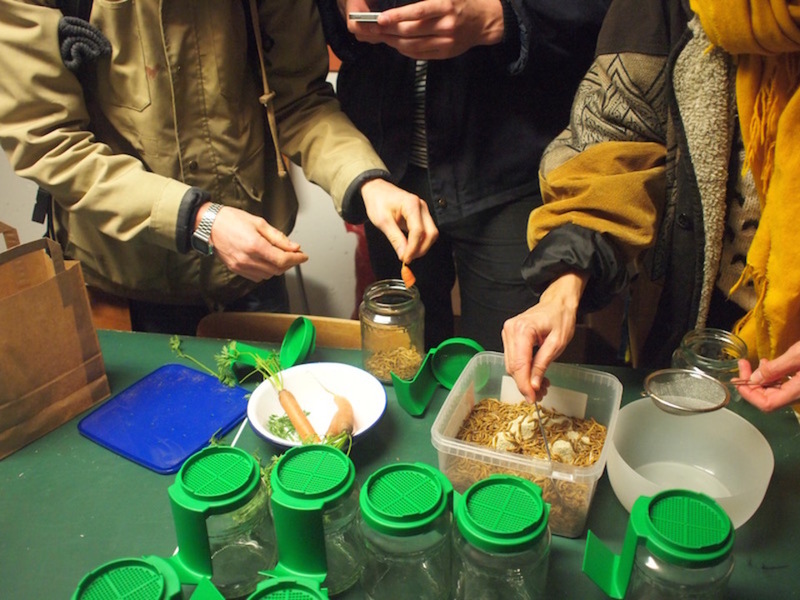 At the same time as many felt uncomfortable or disgusted with the worms, several participants developed curiosity towards them and expressed concerns for their well being. Was it really ok to feed the worms with plastics? Was it ok to keep them is such a small jar? Some responded to these ethical concerns by making new housing for the worms. Some said that they had developed a pet-like relation to the worms, playing with them and giving them things to play with. Others searched for information about the transformation process of the worms - from larva to pupa to beetle. A couple of participants had planned trips during the two week experiment which made them look for others that to care for their worms while they were away, therefore they looked for other carers. To hand over the worms turned out to be rather difficult since what they asked others to care for dances on the edge of pest - and several potential carers declined for various reasons. It was considerable time that was spent on handing over the responsibility. Despite this care for the worms the co-living did not always work out. In one case the care for the worms wellbeing ended up killing them, since they got too much liquid. Overall most participants seemed to pay more attention to their relationship to the worms than to their relationship to plastics. Perhaps because it turned out that most participants did not use that much styrofoam. Through caring for the worms, our own inevitable entanglements with plastic waste was however also brought into presence. At one point one participant asked: Why are you so concerned about feeding the worms plastics? We eat plastics all the time, whether we want to or not, for example in sea salt. As a solution to plastic waste, our proposal to compost plastic in a domestic setting was questioned. For example, because it demanded so much work and care, and because it was rather slow. Another problem that was brought up was related to scaling. If composting plastics were to be done on a larger scale it would for example generate a lot of CO2. It was also suggested that it would be better to just stop producing plastics all together. 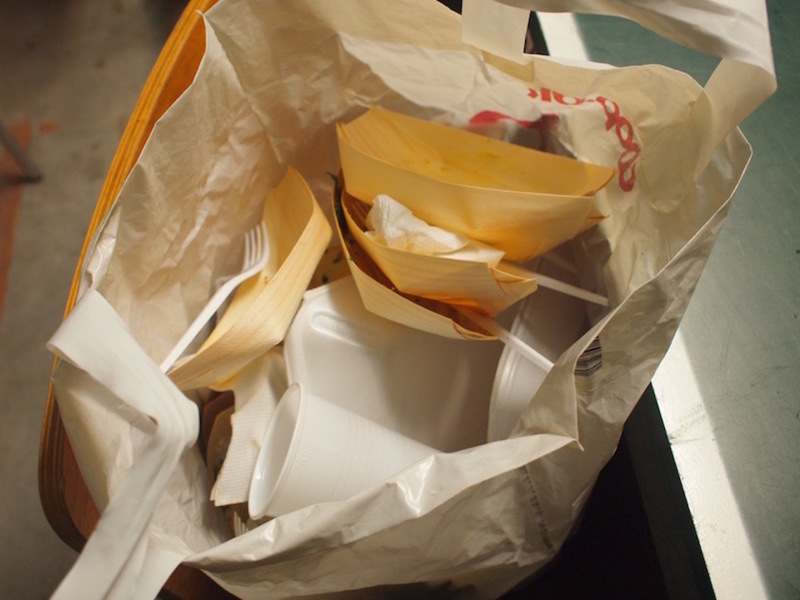 To sum up, our proposal to compost plastic in a domestic setting was questioned because of ethical concerns, inefficiency, the labor it demanded and more. However, we believe that these aspects of composting plastics also contributed to making it a great tool to think with and through problems related to plastics. Problems that are otherwise too mundane or distant for us to sense or engage with.